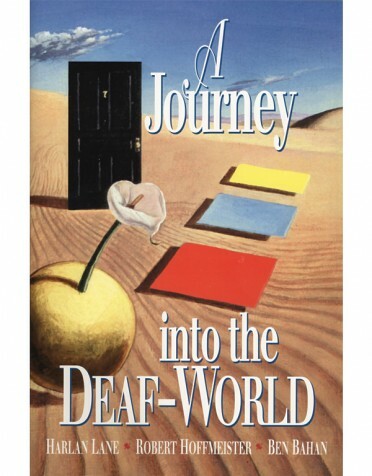 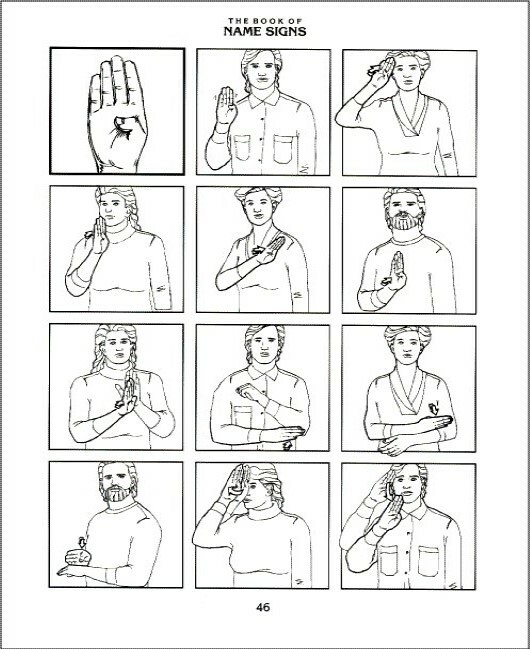 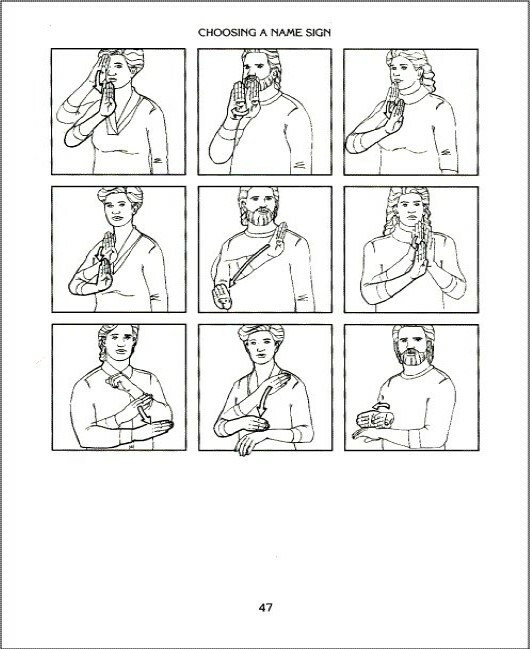 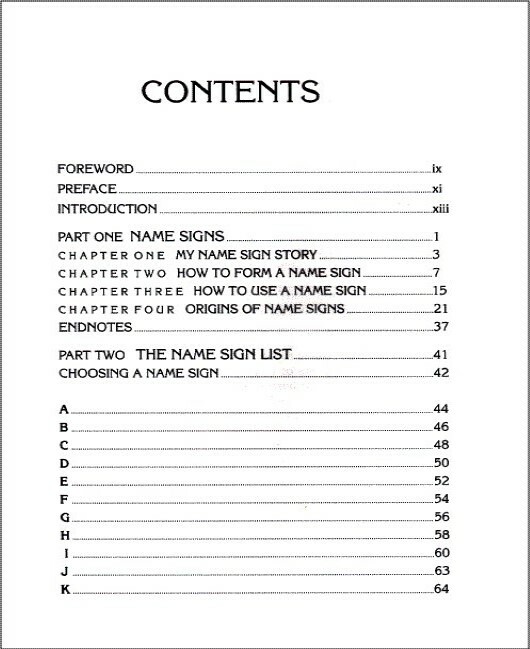 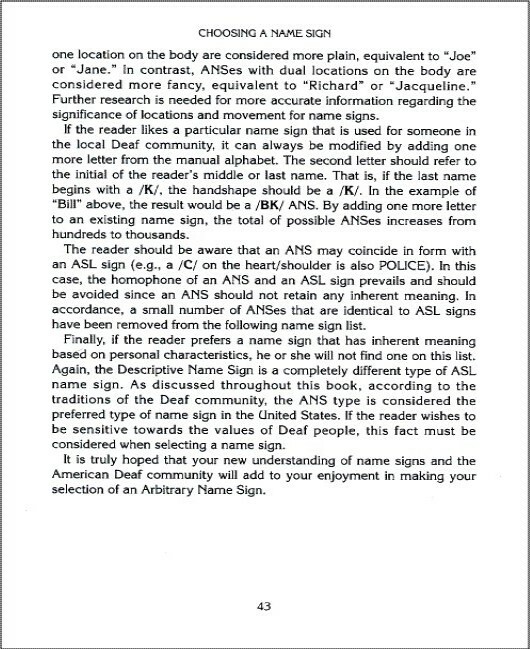 To explain how a name sign is chosen in the Deaf community, professor and researcher Sam Supalla wrote this valuable resource book. 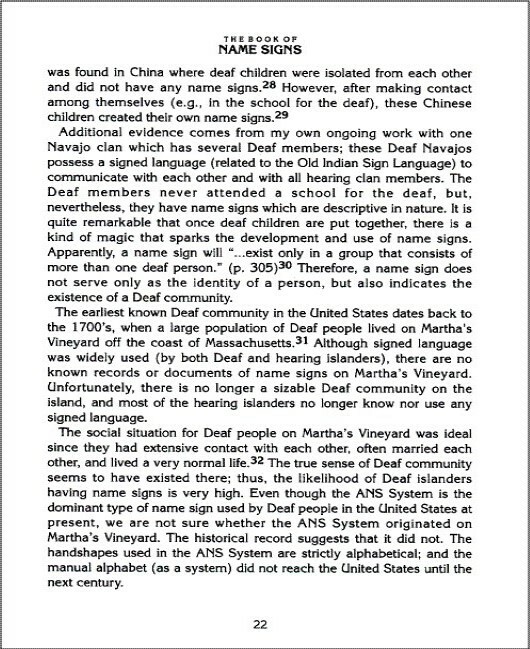 Revealing fascinating insights about the origins of ASL name signs, Supalla shows how they serve the same function as given names used in the hearing community. 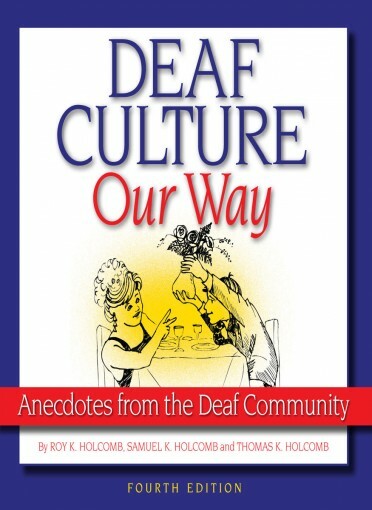 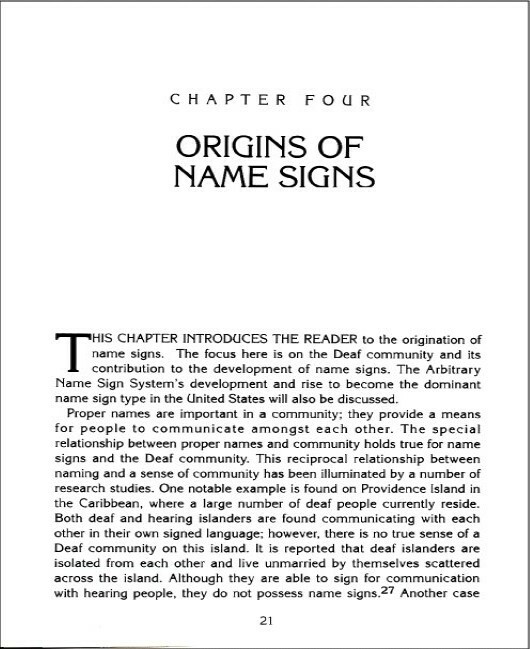 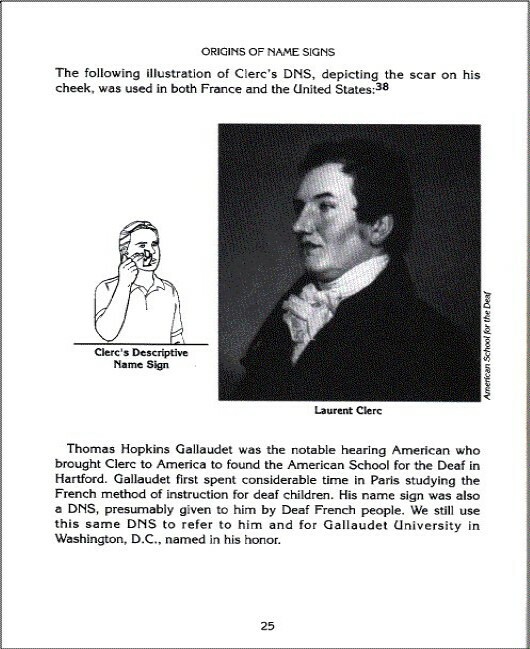 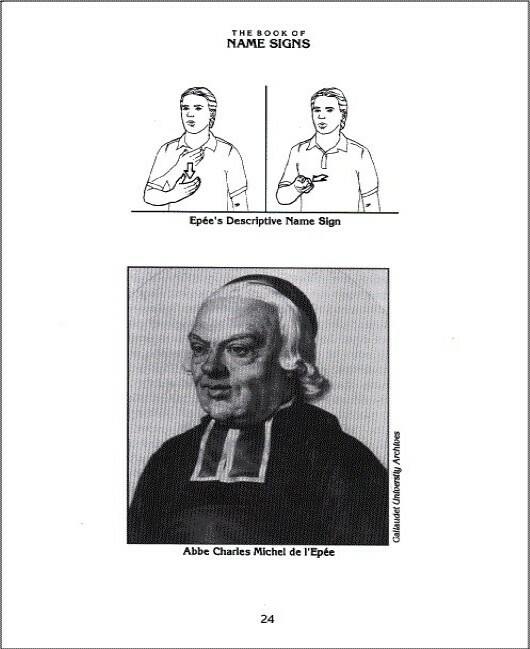 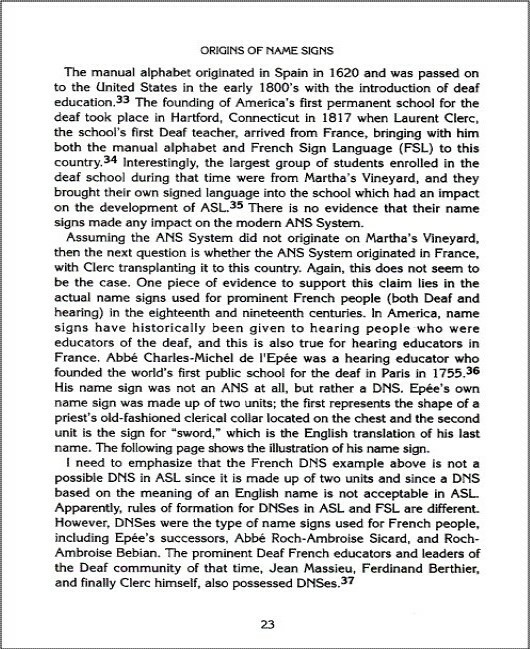 He also details how the history of the name sign system dates back to the early years of deaf education in America. 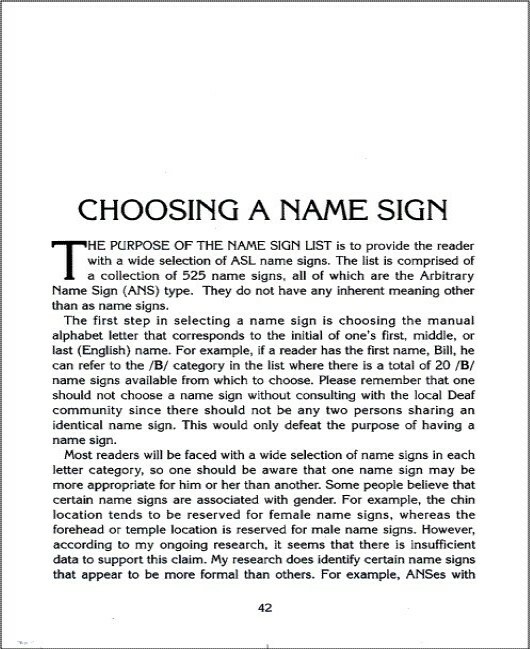 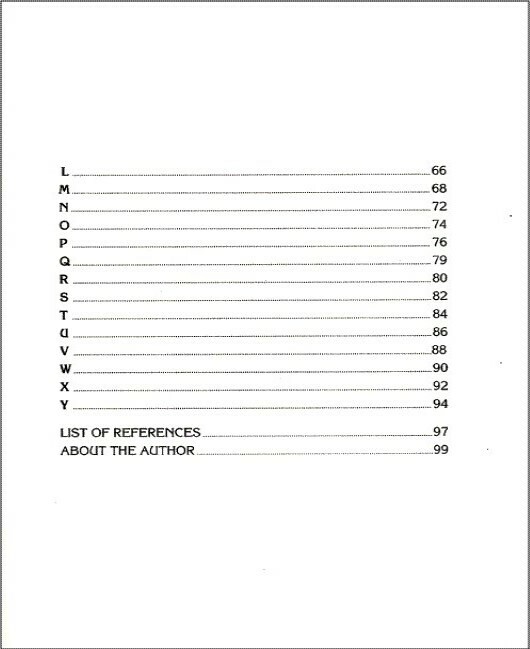 Included for reference is a list of more than 500 name signs available for selection, plus illustrated charts. 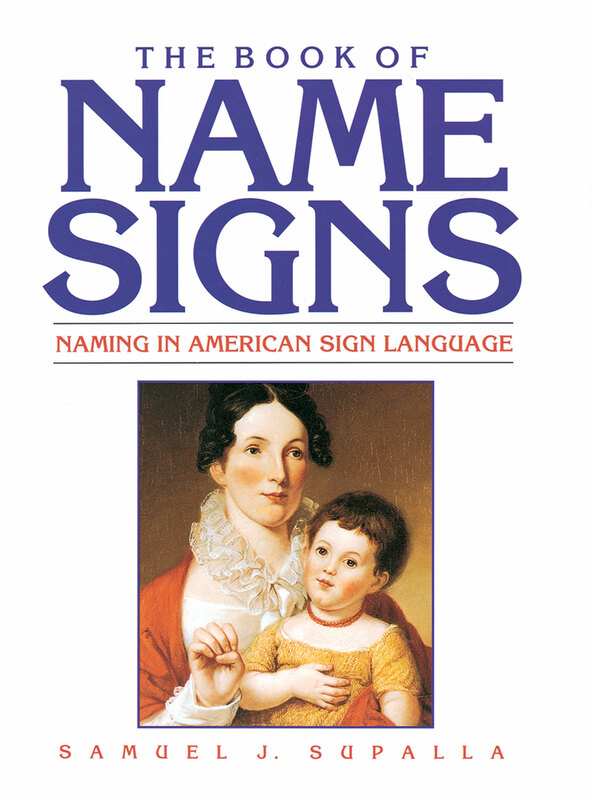 Learn more about the history of name signing with this enlightening book.